Your financial contribution helps us better prepare our communities, families and loved ones for what can be devastating effects of a stroke. With your help, we continue the important work of stroke care, advocacy and awareness to improve the outcome for stroke victims. 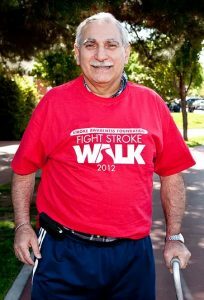 The Stroke Awareness Foundation is a public charity, thus your gift is completely tax deductible as allowed by law. We are a tax-exempt 501 © (3) organization. EID # 81-0566416/CA Corporation # 2424466. Call (408) 370-5282 to give a donation over the phone.